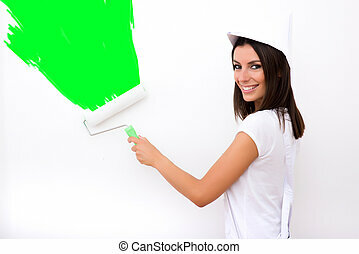 Beautiful young woman painting a apartment. 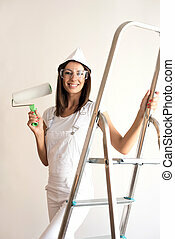 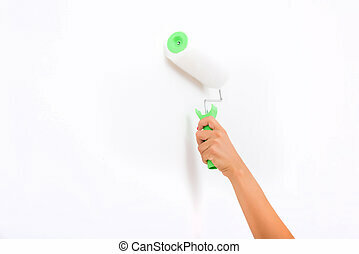 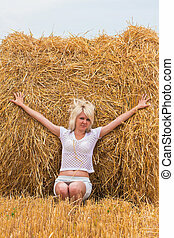 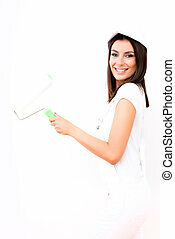 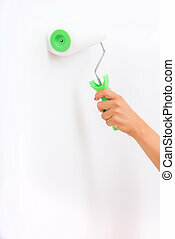 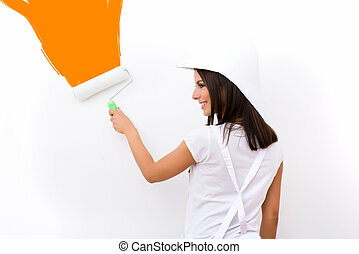 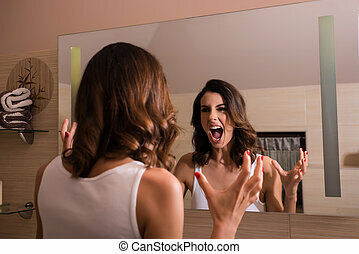 A beautiful young adult woman painting a wall in her home in white. 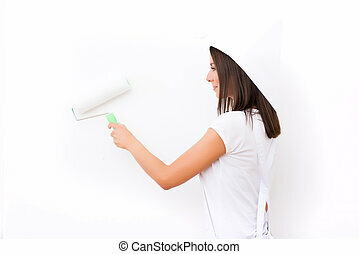 A beautiful young adult woman painting a wall in her home in white. 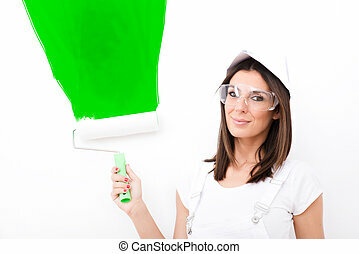 A beautiful young woman paints the eyelashes. 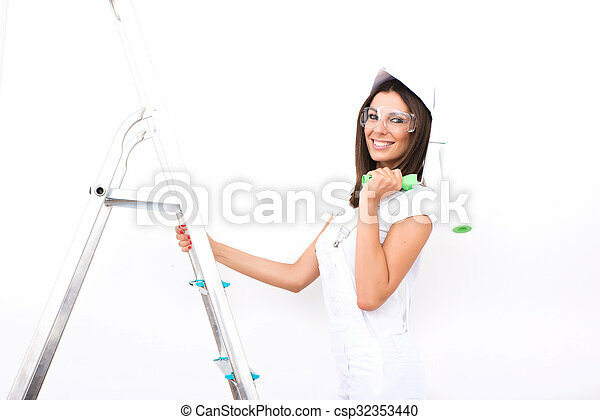 Fashion portrait of a beautiful young woman in a white dress.